The U.S. Justice Department said it is expanding its efforts to combat the Washington, D.C., region’s fentanyl crisis by targeting traffickers who ship drug components from overseas. Deputy U.S. Attorney General Rod Rosenstein announced indictments against Chinese nationals suspected of trafficking large amounts of fentanyl to the United States, including drugs used in deadly overdoses. Rosenstein’s announcement coincides with a News4 I-Team investigation which reveals a growing string of cases in which smugglers trafficked fentanyl and heroin into the D.C.-region, including through Dulles International Airport. In an interview with the I-Team, Rosenstein said the overseas shipments are creating addiction in the U.S.
Rosenstein, who traveled to China earlier this year to discuss efforts to combat the importation of fentanyl, said his prosecution of two Chinese nationals suspected of shipping fentanyl to the U.S. is an effort to combat an influx of unlawful Chinese drugs. An I-Team review of federal court records in Virginia shows a growing series of cases in which U.S. Customs and Border Protection (CBP) officers seized heroin and other illegal drugs from international passengers arriving at Dulles International. The cases include heroin hidden inside lollipops seized from a passenger’s luggage. 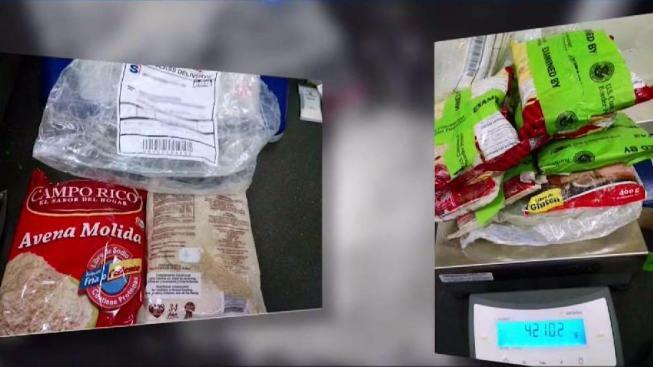 In a separate case reviewed by the I-Team, CBP officers said they found heroin inside a bag labeled “oatmeal powder” inside a Dulles passenger’s bags. Records obtained by the I-Team show at least 24,000 heroin seizures and 1,600 fentanyl seizures by CBP in the Washington, D.C.-region since 2012. “Smugglers will try to be creative, but we’re more creative in stopping them from trying to bring it in,” said Chris Downing, Dulles supervisor for CBP. "We’re always one step ahead." Reported by Scott MacFarlane and shot and edited by Jeff Piper.